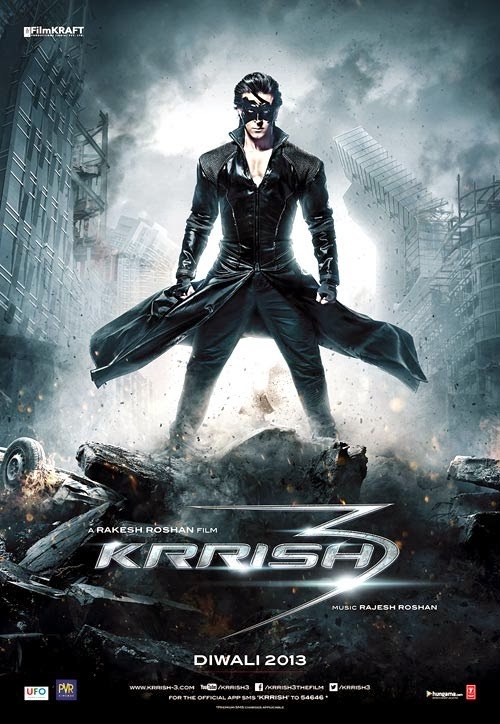 Bollywood CineTalk: Krrish 3; 3rd Highest First Week Ever! Krrish 3; 3rd Highest First Week Ever! If the film can break the second weekend record it has chances of becoming the highest grossing film of all time. A dubbed Telugu and Tamil version of the film has collected around 7 crore nett with most of the business coming in Telugu. The film is a record grosser as far as dubbed Hindi films are concerned as Ra.One and Don 2 grossed around 5 crore nett each in their entire run. Note - The collections are for the first three full days be it India or Overseas and do not include paid previews or extended weekends. All figures are GROSS as there are no nett figures Overseas.